Gorham, ME – In a seesaw battle featuring eleven goals, Bates Men’s Ice Hockey opened the season in impressive fashion, earning a 7-4 victory Saturday night over St. Joseph’s College. In a fast-paced contest held on the Olympic ice sheet at USM, the Bobcats displayed formidable offensive chemistry despite having only had a handful practices leading up to the season opener. Senior captains Sam Levin and Nick Barker and alternate captain David Katzman combined for five of Bates’ seven goals, with junior defenseman Justin White contributing the other two. While far from the prettiest of wins, resilient, intelligent, and gritty play are aspects of their triumph that the Bobcats can relish and look to maintain going forward. After a somewhat lackluster start, the Bobcats found themselves shorthanded, allowing St. Joseph’s to take a 1-0 lead with an early power play goal. Bates rallied instantly and wasted no time in answering the bell, knotting the score at 1-1 at 4:41 of the first period. Senior defenseman Max Watson’s shot caromed out to junior defenseman Justin White, who hammered the rebound into the back of the net and capped off the play with an emphatic celebration, sending a jolt of adrenaline through the Bobcat bench. “Teams that can respond are deadly, plain and simple,” commented head coach Michael O’Brien, who joined the Bobcats this fall after the retirement of longtime head coach Tom LeBlond. Nineteen seconds later, history repeated as White collected the puck after Watson’s drive from the point bounced out to him and found twine for the second time in short order. “I don’t think I’ve had a multi-goal game since peewee hockey,” White, a onetime stalwart defenseman at the Middlesex School, remarked. Bates kept up the pressure during the following minutes and fought to hem the opponent in their zone. Their penalty kill was tested once again late in the period, but spectacular goaltending by sophomore Matt Flanagan along with solid work from the defensemen and gritty shot blocking from Levin and senior alternate captain Andrew Cahill weathered the storm, allowing Bates to take a 2-1 lead into the first intermission. Following a rousing intermission, the Bobcats came out amped up and firing. Just 1:10 into the second period, Barker buried a gorgeous feed from junior forward Morgan Dewdney on a 2-on-1 rush to put Bates up 3-1. The Bobcats forced the issue for the next several minutes with a speedy and physical brand of hockey, but a breakaway goal by St. Joseph’s briefly let the air out of the tires and tilted the ice as the Monks, now down 3-2, pressed for the equalizer. 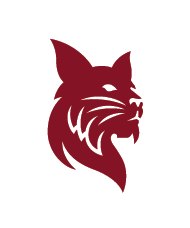 Despite the surge, Bates stood tall and perseverance was rewarded as senior defenseman and alternate captain Ryan Chinn’s shot ricocheted to Barker, who fed Katzman in front for a spinning backhand finish to put the Bobcats up 4-2. “Might be the prettiest goal I’ll ever score,” Katzman quipped to his linemates. The Monks were hardly devoid of fight, however, and a late goal narrowed the margin to 5-4 as both teams left the ice for the second intermission. Bates took the ice in the third period determined not to turtle and sit on a precarious lead. Ferocious forechecking paid off as Dewdney and Chinn orchestrated a play that allowed Barker to drive home a loose puck in front, giving the Bobcats a 6-4 cushion. Coach O’Brien showcased tremendous confidence in his forward and defense units, rolling lines on lightning-quick, scrappy shifts that soon sapped the Monks of energy. The Bobcats soon pounced again, with Levin, Cahill, and sophomore forward James Hussey driving St. Joseph’s to exhaustion with a relentless cycle deep in the offensive zone. Hussey dished a pass below the goal line to Cahill, who powered around a defenseman for a chance out front. Levin corralled the rebound at the top of the left circle and wasted no time in firing a laser through the 7-hole low stick-side for his second tally of the game. With a 7-4 advantage, the Bobcats shifted to smart, simple, and disciplined hockey. Nevertheless, the Monks changed their gear and mounted a push that might have narrowed the margin if not for superb goaltending on the part of Flanagan, who electrified his teammates with two consecutive saves on breakaway attempts from St. Joseph’s. Fueled by Flanagan’s heroics, Bates fought back and tilted the ice in the opposite direction with an offensive that drew a double-minor (four minute) penalty from St. Joseph’s with 3:45 to go in the third period. Ruthless pressure on the ensuing power play hemmed the Monks in their own zone and secured a gritty win for the Bobcats. “It feels great to open with a win,” Coach O’Brien said. “So far, improvement has been our emphasis. Improvement as individuals, improvement as a team, and improvement as a program. It was a hard-fought win, and, more importantly, a classy one as well.” O’Brien’s coaching style has proven more than effective in the early going. The team unanimously agreed that it was a tremendous factor in their ability to leverage a handful of practices into a win against a team that has been getting reps in for several weeks now. Critically, the entire team stepped up to the plate and delivered. Flanagan was stellar in goal, and Bates’ strong defense corps gave him the support he needed on both sides of the ice. In addition to White’s two goals, Watson and Chinn each registered two assists on top of solid efforts on the back end, and freshman Ben Stratton and sophomore Jay Kahle were consistent, stable presences on the blue line. Dewdney had the midas touch, contributing three helpers on the night, and Hussey worked tirelessly each shift, playing an aggressive brand of hockey that meshed seamlessly with the playmaking nature of his linemates. The ability to roll a full set of lines allowed the Bobcats to compensate for any fatigue they sustained as they contended against a St. Joseph’s team that brought a lot of heart and physical play to the table. The Bobcats can hardly afford to be complacent. They enter the upcoming week of practice with their work cut out for them and a strong test awaiting them this Saturday, November 11, against the CMCC Mustangs at the Norway Savings Bank Arena at 7:00pm in Auburn, ME. At once the special committees commenced their work. Just at this time the work of the skating committee was the most important and the most urgent. The Directors of the club had voted to act in conjunction with the Athletic Association in support of hockey. The club also proposed to keep a sufficient surface of the ice cleared for public skating outside of the hockey rink. This was done until there was so much snow that it was almost impossible to keep the surface open. Skating permits were issued to towns people at a special rate which allowed them to use the ice whenever they wished. In its co-operation with the Athletic Association the club willingly incurred one of its largest expenses. This was a lighted rink for night skating and for games that might be scheduled in the evening. During Christmas recess members of the committee built the rink and put up the lighting system so that when the hockey team returned from the holidays they found a lighted rink on which to practice evenings. The student body in general were delighted with the prospect of daylight condition at night on the lake. “With the co-operation of the club the A. A. has made hockey a success.